Prof. Walter Johnstone is currently Professor of Photonic Systems and Vice Dean of the Faculty of Engineering at Strathclyde University where he has been a member of academic staff since 1986. Following senior management positions as Head of the Department of Electronic and Electrical Engineering and Associate Dean [International], he was appointed to the Vice Dean’s post in 2012 with responsibility for Research and Internationalisation. His research into optical waveguide components, fibre lasers, distributed fibre sensing systems and optical gas sensing has led to more than 200 technical publications and several patent applications. As well as carrying out basic research, his group is involved in the engineering of such systems for in situ industrial deployment. Recent research has led to two novel approaches in tuneable diode laser spectroscopy (TDLS) with applications in diagnostics for fuel cells at temperatures up to 1000oC and aerospace gas turbine engines at high temperature and high gas velocity. 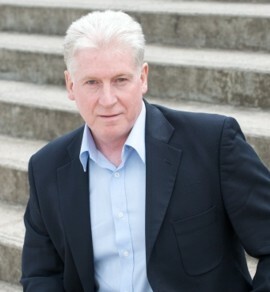 In addition to his academic career, Prof. Johnstone is a Director of OptoSci Ltd.. Furthermore, he has served on the board of the Institute for System Level Integration (ISLI, 2010 – 2013) and has held various project engineering and senior management posts at Barr and Stroud (now Thales Optronics) and Logitech Ltd (1980-1986).